A man who had just gotten out of prison 15 minutes earlier was ambushed and shot by another ex-convict as revenge for a previous run-in behind bars, state police said Friday. 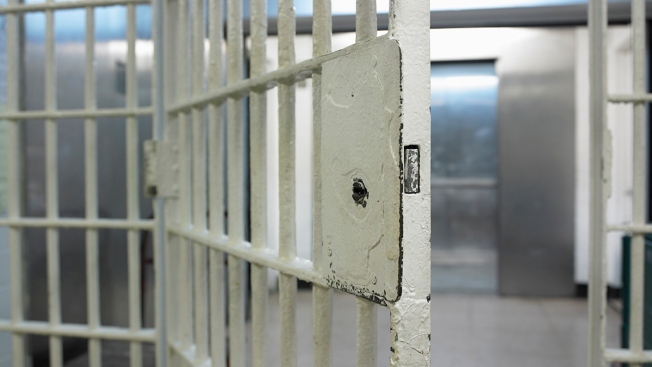 Devon Simmons, who had served 15 years for an assault conviction, was being released from the medium-security Otisville state prison in Orange County on Thursday morning when he was told a car was waiting to pick him up. Simmons had been planning to take a train from a nearby station, but he instead was greeted by Edgar Wilson, whom he didn't know, police Capt. Pierce Gallagher said. Wilson said Simmons' cousin had sent him for a ride back home to Manhattan, he said. "He ends up jumping in the car, believing it was sent by relatives," Gallagher said. After a short drive, Wilson pulled over, saying he was stopping to relieve himself in the woods, and Simmons got out of the car as well, police said. "Then the trunk latch is released and a guy he does know jumps out of the trunk and starts shooting," Gallagher said. "The minute he sees the guy, he starts running." The man from the trunk, Jerome Mack, used a handgun to fire at Simmons, who was hit once each in the arm and shoulder but was able to run to the train station, where help was called, police said. Simmons was hospitalized Friday with injuries that weren't considered life-threatening. Mack and Wilson were traced to Manhattan and were arrested hours after the attack, police said. There was "bad blood" between Simmons and Mack from an encounter at another prison, Gallagher said. He would not detail what happened between the men. Mack and Wilson were jailed on attempted-murder charges and were unavailable for comment. Police said they didn't know if the men had lawyers.